Recently, my good friends David Cranmer and Tracy K. reviewed Ray Bradbury’s Death is a Lonely Business on their blogs. The book got me thinking about books that were fashionable to read when I was young, rather halfway through college. It was cool to mention them, like dropping names of famous people you knew. These books set the benchmark for the quality of books you read, didn’t read or should read. They made a fashion statement. I can recollect twelve such fascinating books. I have not read the bottom four books yet. Each of these books has an attractive title and is considered a literary masterpiece, some intellectually entertaining and stimulating. Every one of them is worth reading and in some cases more than once. The stories are as unusual as their titles and written by some of the finest authors in the history of fiction. I have always liked the sound of all the twelve books. Stacked on a bookshelf, they’d really look good. Which books were fashionable to read in your youth? Very interesting post, Prashant, and thanks for the link to my post on Bradbury's book. I don't remember books being fashionable when I was in college. Maybe it was because I was in Math and my boyfriend was in Engineering. We did read, but mostly mystery or sci fi. Tracy, thank you, and you are welcome about the link to your blog. I started reading these books when I was into my first job in the mid-eighties. I think they were a favourite with many journalists. I've read 4 from your 12, with Mockingbird waiting on the pile for a read someday. I can't recall anything from my reading during my own college days. Bradbury - loved, Irving - loved, Vonnegut - okay, it had it's moments, Salinger - loathed. Col, I'm actually not familiar with Salinger's work. THE CATCHER IN THE RYE is the only book of his that is prominently displayed in both old and new bookshops. I have read Irving who, I believe, trained under Kurt Vonnegut who incidentally hated the semicolon. I have a pile of Ray Bradbury, both read and unread. Many of his short stories are in public domain. Catch-22 is definitely one I need to read. I have a copy here. 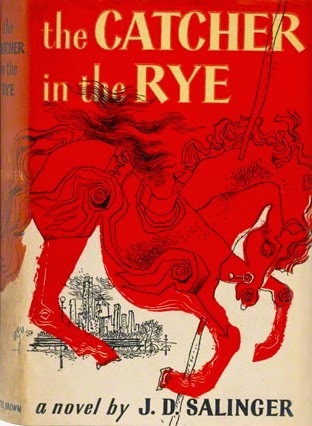 I read Catcher in the Rye, didn't like the main character much. But maybe I should reread as an adult. Charles, many readers have mixed opinion about THE CATCHER IN THE EYE and I'm hoping to read the novel and find out why. I've read 8 of your list. Salinger was IT when I was an undergraduate (mid-60s). I remember reading his stories as they were published in the New Yorker. 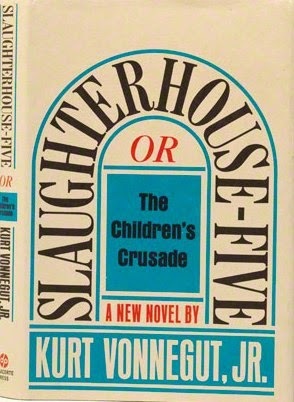 Vonnegut was also Big. For the best of the lot, I'd pick CATCH-22 and 100 YEARS OF SOLITUDE. For the best first chapter, I'd say GARP, but the rest of the novel doesn't live up to it. As an English major, I actually have stronger memories of D H Lawrence and Henry James. Ron, I have read one or two books by D.H. Lawrence and absolutely nothing by Henry James. The GARP novel starts out very well, I agree, but the character of T.S. Garp loses steam and the plot meanders as one reads on. It was a big hit in the eighties. I have not seen the film version with Robin Williams as Garp. I have read 8 of them, Prashant, and my comments - and time frame - are pretty much the same as Ron's. I read everything by Vonnegut I could get my hands on at the time, read Henry James as assigned, I was also an English Lit major. Catch-22 was very trendy, or popular, or "hot" whichever term you like, in the mid 1960s. The majority of my non college class assigned reading, though, was science fiction, Heinlein, Arthur C. Clarke, Isaac Asimov, Hal Clement, Poul Anderson, etc. 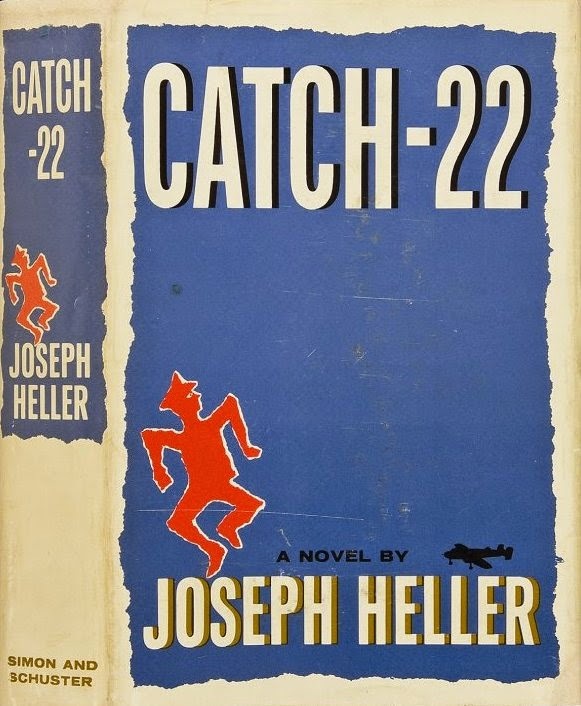 But when books like Catch-22 came along and were talked up so by my age peers, I read them. John Irving's Setting Free the Bears was another one. I did try Ayn Rand a couple of times, but couldn't make it past about 30 pages or so. Richard, CATCH-22 was "trendy" until the mid-nineties and then I stopped hearing about it as a new and younger generation came along and created their own reading trends. I'm looking forward to reading John Irving's SETTING FREE THE BEARS. There are many recurring elements in his novels including bears. I have not read Heinlein, Clement, and Anderson. 8 of them would have been very popular when I was younger, and I'd read 6 of them then. Amongst women, we all liked to read the Virago books - republication of classic novels by women, many from the first half of the 20th century. Precious Bane by Mary Webb comes to mind. Also the Antonia White Frost in May books. I think we all liked the idea of re-discovering forgotten books. Moira, I enjoy discovering and rediscovering books, including forgotten books. It is a new hobby I indulge in almost every week. Of course, I don't get round to reading them straight away. Mary Webb and Antonio White are two more new authors for me. Thanks for mentioning them.